Pope Francis on Saturday decried low birth rates in Europe and urged more help for young people preparing their future path in society. “A Europe that rediscovers itself as a community will surely be a source of development for herself and for the whole world,” the pope told (Re)Thinking Europe – a project sponsored by the European bishops’ conference (COMECE). 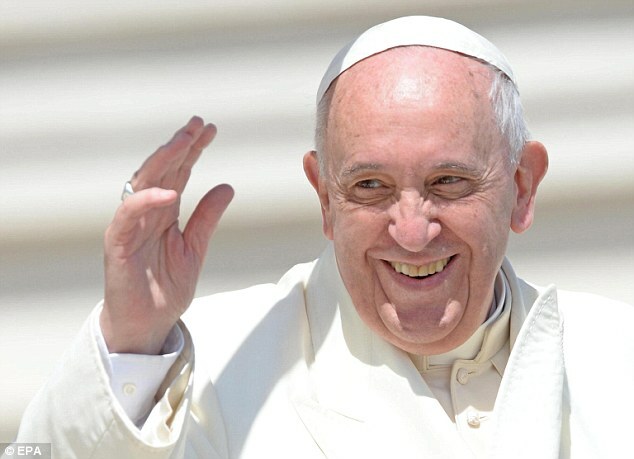 The Argentinian pontiff described the European Union as a tired “grandmother, no longer fertile and vibrant,” in a 2014 address to the European Parliament. Among the pope’s audience were European Commission vice-president Frans Timmermans and EU parliament chief Antonio Tajani. So as a conclusion, the Pope criticizes the low birth rates in Europe as a territory but he has nothing to do with the NATIVE white Europeans who inhabited this territory for thousands of years. So in other words, he just wants more people in Europe but not necessarily white, that’s why he is teaching Europeans to ASSIMILATE migrants and view them as a resource.